Mountains have been around for millions of years, keeping watch over the ever-changing landscape and in more recent millennia, those humans who first laid claim to the land. Early Native American Indians thought of them to be inhabited by the spirits of their ancestors who watched over them, gave them supernatural guidance and protected them. 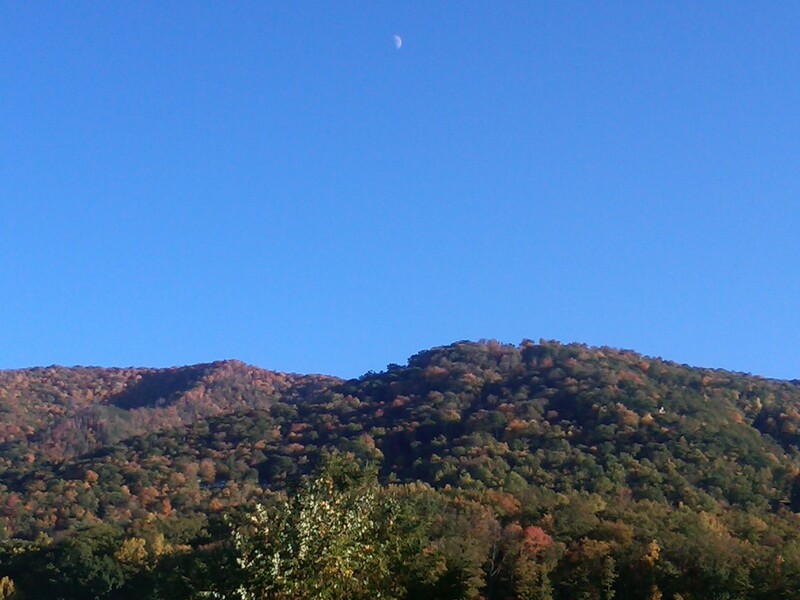 They gave them names such as Nantahala and lived in their mighty shadows as the seasons came and went in succession. Later, when the white man came and dwelt among them, they named more of them, like Yonah, Devil’s Courthouse, Pisgah, and even sometimes humorous names like Chunky Gal. Several years ago, a killer was captured on that mountain and the next day, the local paper, in a twist of dark humor headlined “Killer caught atop Chunky Gal”. We can only assume he wasn’t caught in a compromising position. Winding it’s way through this panoramic vista is the best road in the country for experiencing this kind of power, the famous Blue Ridge Parkway. Nearly 500 miles of parkway twists through the Blue Ridge Mountains of North Carolina and Virginia and has been drawing motorists and nature enthusiasts to it for 75 years now. 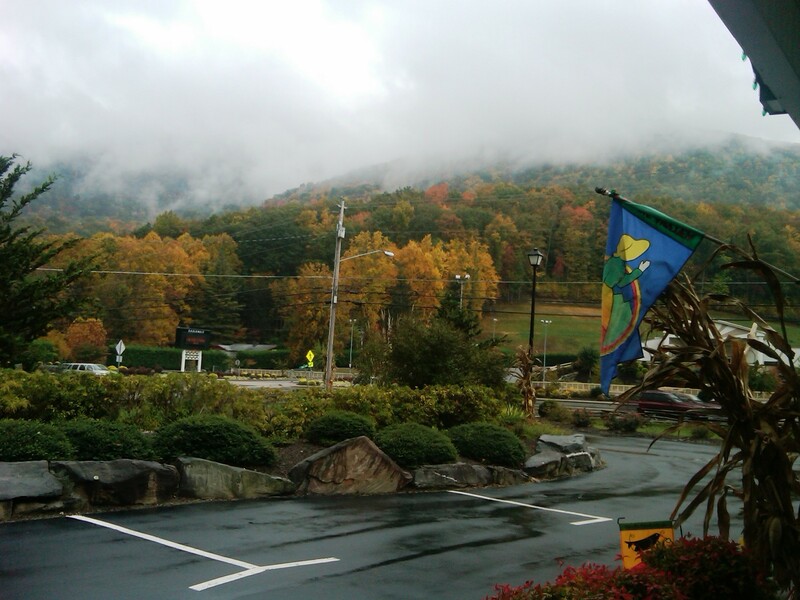 This road and various other secondary roads are the destination for the Atlanta Z3 group and Maggie Valley, just 5 miles from the parkway, is where the faithful drivers will gather to celebrate fall drive. Arriving in drizzle and fog will make you appreciate the beauty more when just an hour after our arrival, the sun came out and the sky cleared to a beautiful sapphire blue, highlighting the beauty of fall leaves at their peak. After checking in at the Maggie Valley Creekside Lodge, our official fall drive headquarters, it was time to do a test run. 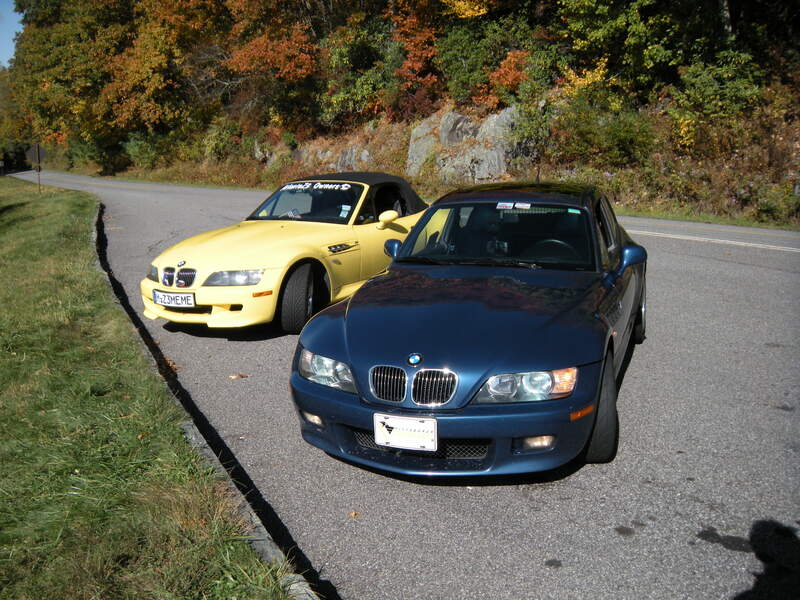 My mom and the yellow M roadster and myself in the blue Z coupe hit the parkway as the early afternoon sun bathed the hills in light. Higher we went, marveling at the cold in the air, a welcome relief from the recent brutality of the Georgia summer. Where are those seat heater buttons?!? The road twists and turns, curves that have chewed up and spit out lesser machines not as suited to the hairpins, drops and banks. One wrong move and Stone Mountain won’t be the only mountain with a face imposed in the side of it. Common sense prevails though and with practice and concentration, the road submits and man, machine and nature become one together. Tomorrow the rest of our group will arrive and the reunion will begin. Food tip: if you are ever in Waynesville just outside of Maggie Valley, be sure to eat at The Sweet Onion in downtown. It’s a swank place with really good food and a lemon grass salad dressing that people have been trying (in vain) for years to obtain the recipe. Go early though…it will be a long wait! More to follow! Cars and food – what more can a girl ask for?